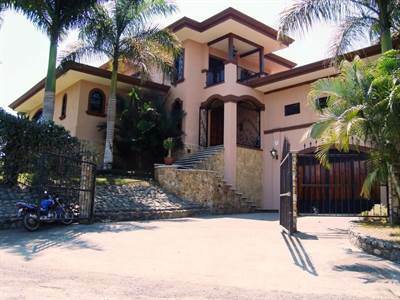 Emerald Valley Estate, JACO AREA in Jaco, Jaco is Sold! 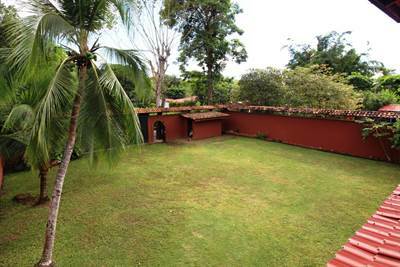 in Jaco, Jaco The single story at Emerald Valley Estate, JACO AREA has been sold. Posted on August 24, 2018 Author Jaco Area PropertiesLeave a comment on Emerald Valley Estate, JACO AREA in Jaco, Jaco is Sold! Awesome townhome steps to the beach. Non-condo inventory this close to the beach is rare in Jaco, and the monthly expenses are much less than a beachfront condo. Newly constructed beach house is one of only 8 homes in a private secure development, with private direct access to the sand, just steps away from your front door. 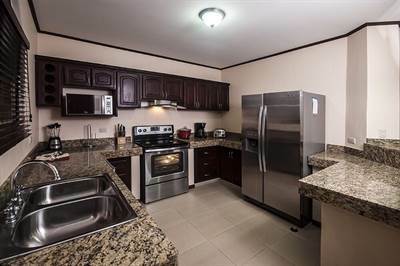 This property is sold fully loaded with high end furniture and appliances. The development was finished in 2015, and has all the modern amenities and finishes necessary for luxury living on the beach. This is a bi-level, 4 bedroom, 3.5 bath home with approximately 2000 sq ft. of living space and views to the beach. The downstairs features an open floor plan with a large living/dining/kitchen area, the master bedroom suite is located downstairs, with en suite bathroom. There are 2 bedrooms upstairs, a full bathroom, and an outside covered patio area with space to lounge, grill, entertain and relax. There is also a laundry area with has washer/ dryer and wash sink. There is also a garage that connects to a 4th bedroom suite, which can be locked out as needed. 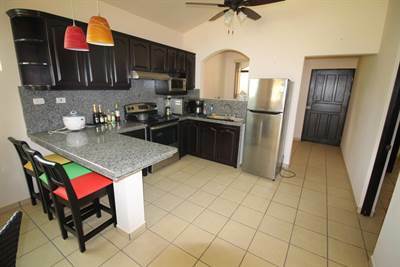 This is a highly desirable rental property, if you’d like to rent out the home; there is property management available as well. Please note, HOA FEES ARE ONLY $250 Dollars a month, making this the lowest fee on the beach! The beach at this end of Jaco is a beautiful cove ringed with jungle covered hills. The swimming is excellent as cove protects from rip tides and wind. The sand is without rocks, smooth and compact. 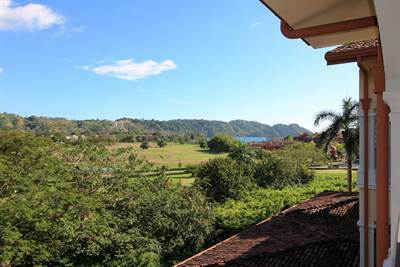 Scarlet Macaws and the world famous flora and fauna of Costa Rica add to the feel of Paradise. Premium location at a Buyer’s Market Price. EXTREMELY MOTIVATED PRICE POINT FOR QUICK SALE! Adorable and awesome 3bdrm beach house ! Walk easily to one of the best beaches in the Central Pacific located at Esterillos Oeste, in under 5 minutes. Gated and secure community of quaint beach homes, low HOA fees (only $100 per month), headache free ownership, great pool and common areas. This home has 3 bedrooms with two full baths, living room, kitchen, dining area, laundry area and back porch as well as car port. What a great house, constructed of steel reinforced concrete block and in new condition. Sold fully furnished (except for master bed and washer and dryer). Has great rental potential, cozy and well built. Call me or write for more info. Also, there is an adjoining lot if you want to expand. This lot measures 230 meters (2550 square feet). The price is $30,000 for this additional lot. Act soon, this deal WILL NOT LAST! 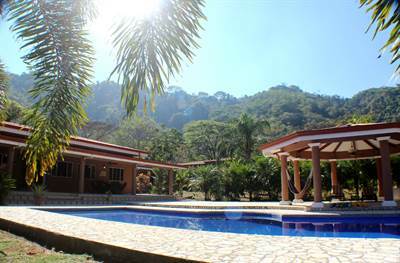 Esterillos Oeste 100k AWESOME BEACH HOUSE, Esterillos Oeste, EASY Stroll to beach in Esterillos , Esterillos is Sold! 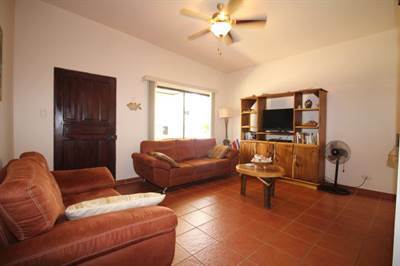 in Esterillos , Esterillos The single story at Esterillos Oeste 100k AWESOME BEACH HOUSE, Esterillos Oeste, EASY Stroll to beach has been sold. Posted on August 12, 2018 Author Jaco Area PropertiesLeave a comment on Esterillos Oeste 100k AWESOME BEACH HOUSE, Esterillos Oeste, EASY Stroll to beach in Esterillos , Esterillos is Sold!